While this move by the company hasn’t been all that unexpected the actual announcement has to be yet another wake up call that technology and the Internet is changing everything about our world, and a lot faster than some companies are able to adapt to. According to The Wall Street Journal Online the once giant company known as Kodak,and synonymous with everything photography oriented, is preparing to file for Chapter 11 bankruptcy-protection just in case its efforts to rescue itself by selling off a massive trove of digital patents falls through. The struggling photography icon, which employs about 19,000 people, is in discussions with potential lenders for around $1 billion in so-called debtor-in possession financing that would keep it afloat during bankruptcy proceedings, the people said. A filing could occur as soon as this month or early February, one of the people said. Should Kodak seek Chapter 11 protection from creditors, the company would then try to sell its portfolio of 1,100 patents through a court-supervised bankruptcy auction, the people said. 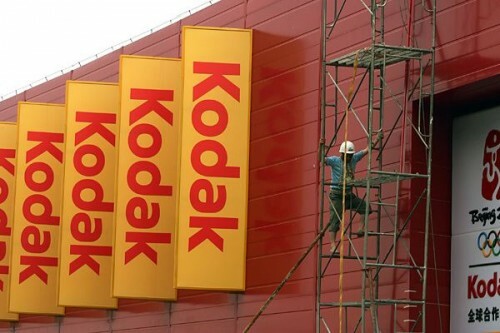 Kodak would continue to pay its bills and operate normally while under bankruptcy protection, the people said. While it is sad to see a once giant struggling to find its way in this new digital world it should really be a wake up call to corporations of all sizes that no company is safe from the tidal waves of change we are experiencing and going to continue to experience. For Kodak it has even gotten so bad that its once treasured stock isn’t worth enough to keep it listed on the New York Stock Exchange as it was also announced this week that the company has been warned it could be delisted from the exchange.